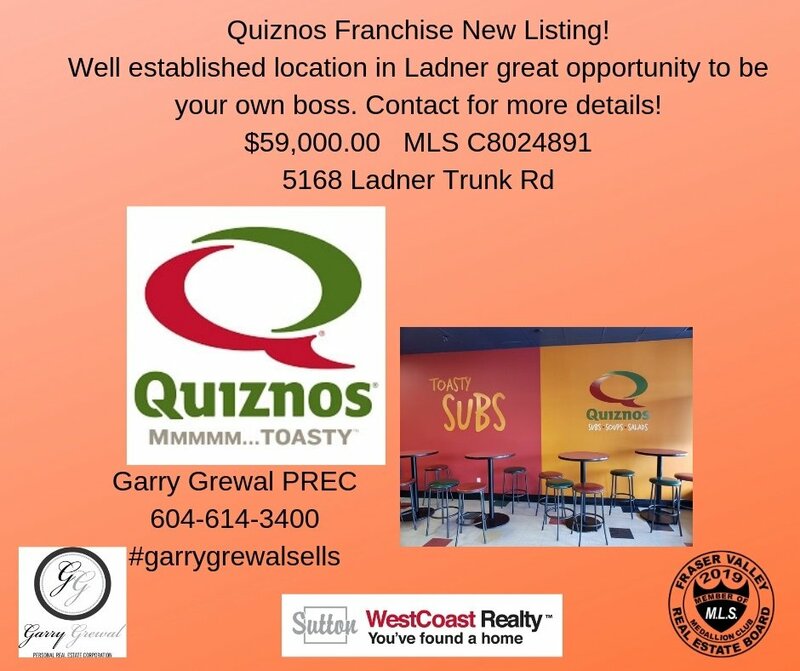 Well established turn key Quiznos franchise in Ladner. Great opportunity to be your own boss. Easy to run. Please do not approach staff. Contact for more information.